This blog proposes a conceptual template and workflow approach for tracking and responding well to development challenges in a consistent manner. This template and workflow can be used as a starting point in international organizations and other types of non-profit organizations interested in implementing knowledge for development tools to tackle and respond well to world´s most complex development challenges wherever. Poverty is a strange and cruel phenomenon. Research into sustainable development is concerned with extending our understanding of how the world works and of how we can better manage our interaction with that world. As local, regional and global communities as well as development agencies have become more aware of environmental degradation and the complexity and fragility of coupled natural-social systems, there has been an increasing focus on issues of sustainability. The efforts to develop effective policies need support from almost all forms of human knowledge. In particular, we urgently need to improve our understanding of the interactions between people and their biophysical environment—interactions that are driven by human aspirations and social and cultural institutions, but that are ultimately constrained by the time and space. In the face of mounting evidence that human activity is beginning to have a significant negative impact on the environment, and that environmental degradation can severely affect human welfare, the integration of knowledge for development across a wide range of sources is it is essential to keep eyes and ears on the grounds. Many researchers in the international community have taken up the integration challenge. For these workers knowledge for Development is an opportunity. The integration, the transfer and the alignment of available knowledge for development, strategies, concepts and methods into development processes and communities practices (client knowledge) is a pressing and challenging research issue today. This is required to change development policies, people’s mindset, development approaches, and capacity building of the local people to handle at a certain point their own problem and understand what issues lead to poverty as well as undertaking innovative research on specific development issues, developing key partnerships to expand knowledge exchange (e.g. academia, experts, civil societies etc. ), combining a global perspective with local knowledge, better interaction directly with clients to determine knowledge needs, helping countries address their own development challenges and match them with relevant global practices, disseminating good practice to different audiences, facilitating global partnerships and knowledge exchange, connecting, involving, drawing from existing research, data and expertise etc. “Poverty relates primarily to the limited access of poor people to the knowledge and resources with which to address their basic human needs and promote sustainable development in such areas as water supply and sanitation, food production and processing, housing and construction, energy, transportation and communication, income generation, and employment creation.” (UNESCO, 2003). Also poverty is a giant monster that can only be tamed by innovative and flexible resolution. For social reality poverty is relative and transforming in the time and space as the atoms in the space. Most of development efforts, whether it is related to poverty, education, corruption, peace, etc., focus on solutions as if development institutions are handling clearly defined problems. Developmental challenges are complex wicked problems. If we agreed with, we might accept that there are no perfect solutions which will apply to these problems in space and time. “Rien ne se perd, rien ne se crée, tout se transforme” (Antoine Laurent Lavoisier). Every solution has its own unintended consequences, which policy makers and decision makers should come to terms with. I think every solution is an opportunity to redefine the problem and adapt the solution-process. Without attention to shifting realities on the ground, it serves no purpose. Fighting poverty in all of its dimensions requires eyes and ears on the ground. And I believe that is the role of Knowledge for Development. Knowledge for Development is the practical knowledge development to improve organizational capabilities and development interventions through better *„know how", „better Knowledge´s Design, Delivery, and Support"*, the use and the distribution of the organization's individual and collective knowledge resources. This supports the *science* that enables the translation of "theories", research´s "materials", and "learning experience" into *live practices* through a simple innovative sustainable development model. 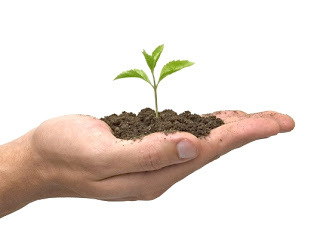 Practices that improve and support internal, local and regional sustainable development efforts. Knowledge for Development is composed of three components which are Business Knowledge, public Knowledge, and Client Knowledge. This is the practical business knowledge for the successfully management, operation and benefits of public and private organizations. The practical business knowledge which we could call the traditional knowledge management enables the efficient management, the smooth operation and the support of internal organizations culture and its business strategies. This is the practical Knowledge for Development. The Knowledge that is designed, tested, packaged and embedded in development interventions. The practical knowledge for development enables the successfully management, operation, delivery and support of sustainable development interventions into local practices and local environments. An important property of this knowledge is that a successful practical Knowledge for Development should be carefully targeted towards its audience, with the right mixture of delivery, support, simplicity, elegance, and, with the right sustainable communities’ development innovations through the right knowledge formats and the right sociocultural knowledge infrastructures. That is the community practices (Practical Client Knowledge) which we could describe as the daily public, private practices and habits of each community. This knowledge describes what works in our community, in our industries, in our sectors, in our lives, in our societies, in our engagements, in our daily jobs etc. The community practices vary from community to community, from region to region, and change with the time and in the space. This Knowledge embeds the Practical Business Knowledge and the Practical Knowledge for Development. It is focused on local private business management, public organizations management, and particularly on local sociocultural infrastructures management, operations and their support. The difference between Business knowledge, Knowledge for Development and client knowledge can be found on the table below. Millions people live below the line of extreme poverty. The Poverty has serious consequences which need to be tracked in order to better counteract them. Therefore, Knowledge for Development Template and Workflow are required for better Tracking and Solving development Challenges. Keeping ears and eyes on the grounds wherever is absolute to track better and to act on development issues. And this is the crucial mission of knowledge development Centre that activities must be carried out according to geographical area: local knowledge Centre, regional knowledge Centre, and global knowledge Centre. Each zone’s research specialists observe and report any serious problems on development issues. Their daily monitoring efforts, particularly the efforts of knowledge customizer must be a prerequisite for any action undertaken by the development organizations. Knowledge customizing Unit is sounding an alarm to identify the root cause of development issues, to verify information and to prepare a log file issue. To forward the log file to the knowledge production Unit to consult with local governments about the production of knowledge package for an intervention. 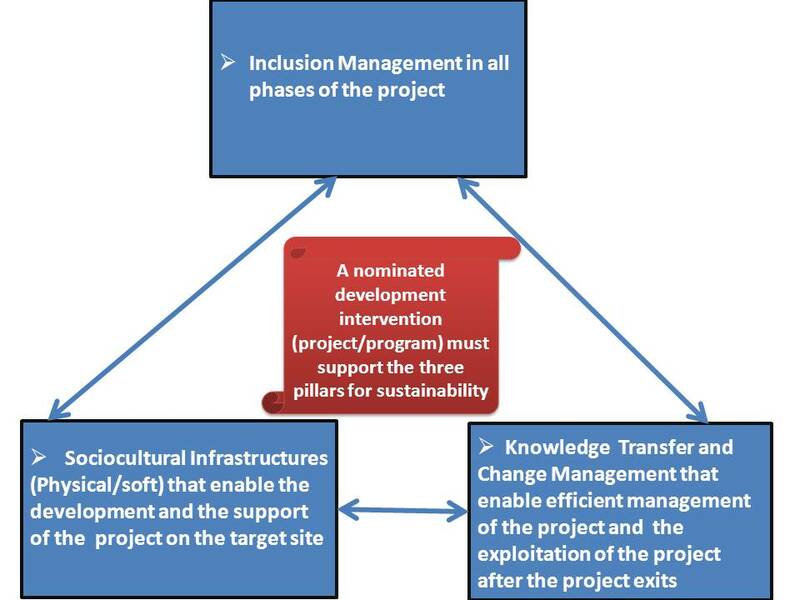 To send the produced knowledge package (see building knowledge package for development) to the knowledge connection Unit for its assessment and delivery. Knowledge gathering, exchanging and sharing are not always enough for fighting the poverty. Knowledge for development delegation follows the monster (poverty) up with an on-site visit to gain more insight into the extreme living conditions of the poor populations concerned, assess the status of the basic needs for human existence, investigate root causes of the extreme living conditions of these poor populations, and meet the country’s officials and local development agencies for preparing intervention. The role of the knowledge customizing Unit is to serve as watchdogs on development challenges, to monitor their progress and to prepare the log file for the production of the Knowledge package for intervention, assembling people to make development intervention on the issues of the time. In addition to procedure requirements, knowledge customizer must offer functionality for managing complete competency by also managing instructor-led learning events and field-skills verification. This includes the ability to link learning materials such as log file guides and field assessment forms and make them accessible to the knowledge production Unit. Knowledge customizer provides real time information verification on the lieu and documentation such as attendance sheets and issues verification approvals, videos, camera , etc. can be scanned and then linked to the specific log file according to the full understanding of the socio-cultural context, and with the active involvement of concerned populations in all stages of the knowledge customizing process. The Role of this template is to track document and to forward the documentation as a log file to the concerned knowledge Production Unit. The problem investigation and diagnosis procedure is aimed at identifying the root cause of any development issues and to prepare the log file and sounding the alarm. This requires attention (ears and eyes on the ground). To send development issues to the Medias, development, and concerned government for mobilizing action on development intervention. This is the mission for preparing and forwarding Log File References according to the priority level (low medium, high, massive to the concerned institutions (see e.g. table below) knowledge for development hub whose activities must been carried out according to (e.g. Seven regions area: Asia, Africa, North America, South America, Antarctica, Europe, and Australia) to each zone. Each zone’s development issues research specialists pursue, observe, monitoring and report any issues on social and environment well-being worldwide wherever people are living. The daily pursuing, watching and monitoring efforts are a prerequisite for tracking and responding well to the world´s most difficult development challenges. The table below presentes a workflow for tracking on real time development issues. Periodically, the knowledge Coordinator must review the closed log file to detect new development problems or match development issues to existing problems that have not been resolved. Analysis of real time data may reveal that similar or reoccurring development issue are reported, which means that a permanent knowledge package for intervention fix must be produced. · Candidates (developments agencies, local government, PPPs etc.) for development intervention. All closed development issues not resolved through a production of local knowledge package for intervention need to be matched to existing development issues and must be escalated to next step. Otherwise Knowledge Connector and Delivery staff may already have linked the development issues to existing knowledge package for intervention . Development issues caused by social or environmental outstanding issue? Verify whether the development issue is caused a by social or environmental outstanding issue or Known Error. If yes, we need go to KN4dev4.1.3. If not, we need to go to KN4dev4.1.4 It is important to link development issues to existing social and environmental issues in order to monitor the number of reoccurring issues, which will help each knowledge for development Centre to identify development issues that are not resolved. The issue count is updated in the log file record. The issue count is the number of times that this particular development issue has resulted in a local, regional and global knowledge package for intervention. The issue count influences the prioritization by giving an indication of the frequency of occurrence and thus the impact this issue is having on the social and the environmental wellbeing. If the development issue is caused by a social and environmental issues outstanding issue the log file must be linked to the issue record. If needed, the issue log file is updated and the Knowledge package production for intervention is notified (for example, when a knowledge package for intervention is already available). After a development issue is identified or detected, it must be accurately recorded (e.g. log file). The concerned Knowledge Customizer fills out the problem details (some fields are copied from the related assessment file). A brief description and detailed description is added or updated to define the issue in more detail. The issue must be described in terms of symptoms and impact of the issue from a social and environmental well-being perspective. Provide an impact Reference and description. Determine the correct categorization for the issue record (e.g. sanitation, food, welfare state) etc. Search for social and environmental consequences that are caused by this issue. Link these consequence to the new issues. Consequence can also be linked by Knowledge Customizer, which also results in updating the issues count. Local knowledge package production for intervention is possible available? Verify whether a Local knowledge package production for intervention is possible or is available based on consequences or issues history. If yes, go to KN4dev4.1.9. If not, go to KN4dev4.1.10. Document knowledge package production for intervention from the related development issue and it consequences. Review and complete the log file reference record details including description and brief description. Save the log file record. After the registration and classification is complete, the issue phase must be updated to “issue prioritization, assignment, and scheduling”. A default priority is selected based on the impact and urgency code (e.g. high, massive, etc.). Update phase to “issue prioritization and planning”. Continue with activity “Evaluate issue Priority” KN4dev4.2.1. Review real time information and knowledge on the target site (for example, local performance and availability capacity). Identify potential issue such as capacity and performance issues. The real time information provided by availability, capacity, and change management is analyzed to determine local potential issues and capacity. Information from suppliers is periodically reviewed to identify issues and Known Errors (that is, the Known Errors discovered and published by providers). For example: the infrastructure that supports right the knowledge package for intervention is not available local. to the lack in access to the infrastructure that supports the knowledge package for the intervention? After a potential issue has been detected through trend analysis or information provided by suppliers and development teams, it needs to be assessed to determine if the issue has already been recorded as an issue or a Known Error. For example: additional or new information discovered that is relevant for the issue. If yes, go to KN4dev4.1.14. If no, continue with SO4.1.4. Update issue record (and any related Known Errors) with information and details captured from suppliers and other sources. After the update, the stakeholders and responsible supplier Analyst may need to be informed of new insights. Table: Workflow for tracking on real time development issues. The success of the well detecting, logging, tracking and categorization of development issues depends on the structures of the Knowledge Development Center (e.g. table below). In addition to procedure requirements, knowledge Producer must offer functionality for managing complete competency by also managing instructor-led learning events and field-skills verification, documentation of required infrastructures. This includes the ability to link documentations file guides and field assessment forms and make them accessible to the knowledge Connection Unit. The knowledge Production Unit provides knowledge package service designed and production through available development log file reference to address demand from development interventions. 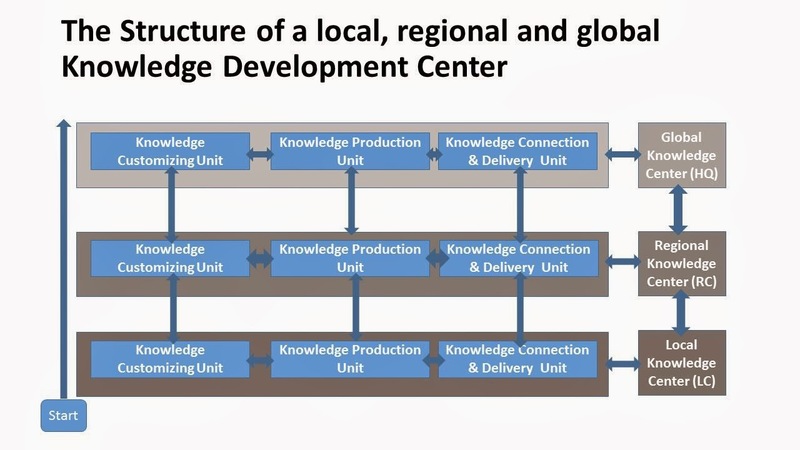 The role of the knowledge Connection Unit is to serve as evaluation center and delivery center on knowledge Package for development intervention. It monitors the progress and prepares the intervention on the target site. 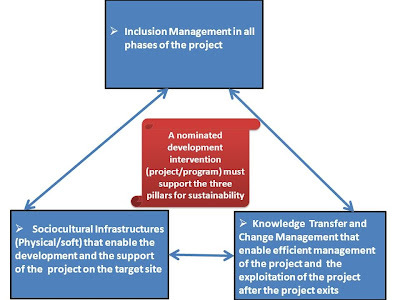 The Knowledge Connection Unit evaluates the worth of the intervention with the three pillars of development intervention parameters (Inclusion Management in all phases of the intervention, Sociocultural Infrastructures (Physical/soft) that enable the development and the support of the intervention, Knowledge Transfer and Change Management that enable efficient management and the exploitation of the intervention on the target site after the intervention exits) for maintaining sustainability (to remain diverse and productive over time). The described Template and Workflow in this paper, as well as development sustainability indicators, development sustainability reports etc. do not guarantee necessary World Sustainable Building. It seems that the best process for maintaining World Sustainable Building is to pursuing, watching, and tracking on real time and in space (ears and eyes on the grounds) the positive and negative impact on the achievement of the Millennium Development Goals (MDGs) objectives worldwide. And as process, I would propose the Knowledge for Development without Borders. Pursuing, watching, and tackling the giant monster (Poverty) worldwide on real time and space demands an organization, an affiliated Non-governmental Organization approach like KNOWLEDGE FOR DEVELOPMENT WITHOUT BORDERS (please see) that assists development organizations, NGOs, governments, Public and Private institutions to have access on the real time basis to the information and knowledge on the grounds for the better decision making, designing, and mobilizing development intervention. KNOWLEDGE FOR DEVELOPMENT WITHOUT BORDERS that bands ALL people together for the well social and environmental purposes. *Author, Amouzou Bedi (Expertise and knowledge of the science management and its cultural implications in the developed and developing world in particular), contact on LinkedIn. I will try to update this paper on a regular basis if a need arises. Please if you have a suggestion (how we can better this Template) and feedback with regards to this work please feel free to share this. Many thanks for taking your time to read this paper.